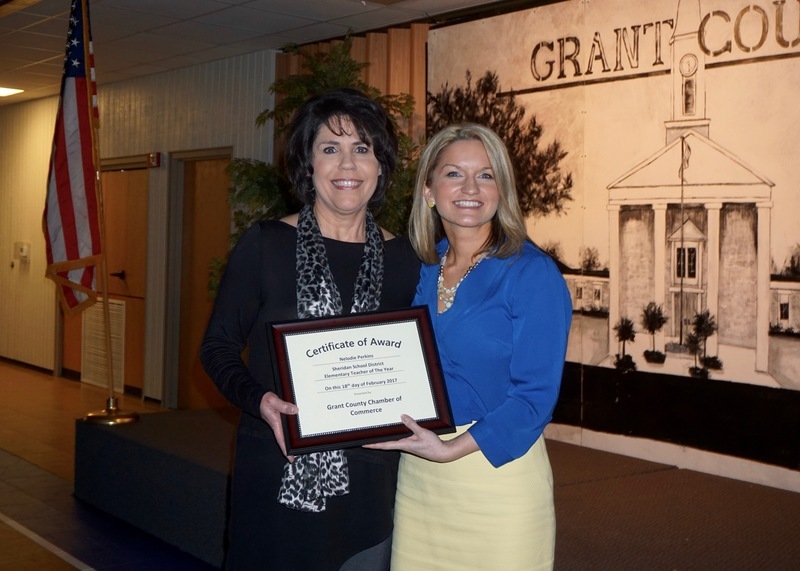 At the Grant County Chamber of Commerce (GCCC) Baquet held on Saturday, Feb. 18, Sheridan Intermediate School Teacher Nelodie Perkins (shown on left) was recognized as the Grant County Elementary Teacher of the Year. Lauren Goins (shown on right), SSD communications director and GCCC board member, presented the award. Perkins graduated from Southern Arkansas University in 1986 with a Bachelors of Science in Education and has 30 years of experience in public education. She has been with the Sheridan School District for the last 23 years. Perkins is not only an educator of students but also a mentor of teachers. Throughout her teaching career, Perkins has served as a math coach and has served on numerous curriculum committees and leadership teams. Her classroom is one of the first places the district takes new teachers, so they can observe her interacting with students.